Drain stoppages are inconvenient, they can back up your plumbing, and can cause damage to your home or commercial building. 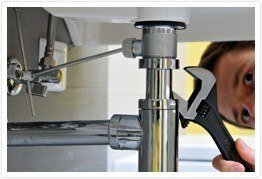 If you have a sink, toilet or bathtub that seems to be flowing slowly, you may be in need of immediate plumbing service. Do not wait until you have a flood in your kitchen or bathroom before you call our plumbing specialists at Downey Plumbing! Drain stoppages can sometimes be cleared with commercial cleaners, however these cleaners sometimes cause additional problems and or even your pipes. Do not take any risks with slow running drains; call Downey Plumbing before you are faced with large bills due to permanent plumbing damage. Downey Plumbing is the area specialists in drain stoppages in Downey, Pico Rivera, Long Beach, Paramount, Commerce, South Gate, Lakewood, Bellflower and other areas of California. We are here to assist you 24 hours a day, 7 days a week to diagnose and repair drain stoppages.